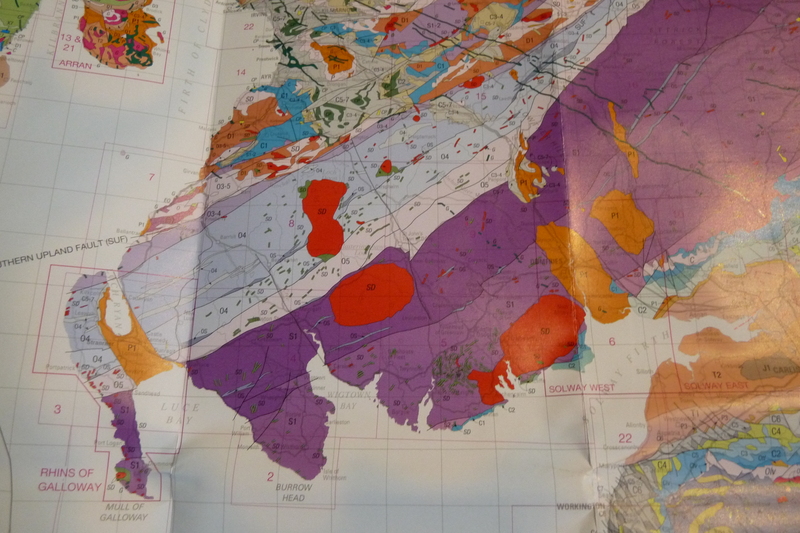 How to use a geological map (or where to find an ammonites armour). When you go fossil hunting, one of the most important things to do is to know what you are looking for. There is no point in looking for a Mammoth skull in a place where the geology is not old enough for Mammoths to be buried there. It’s the same idea as not going fishing in a desert (though geologists sometimes find fish in deserts, but that’s another story). 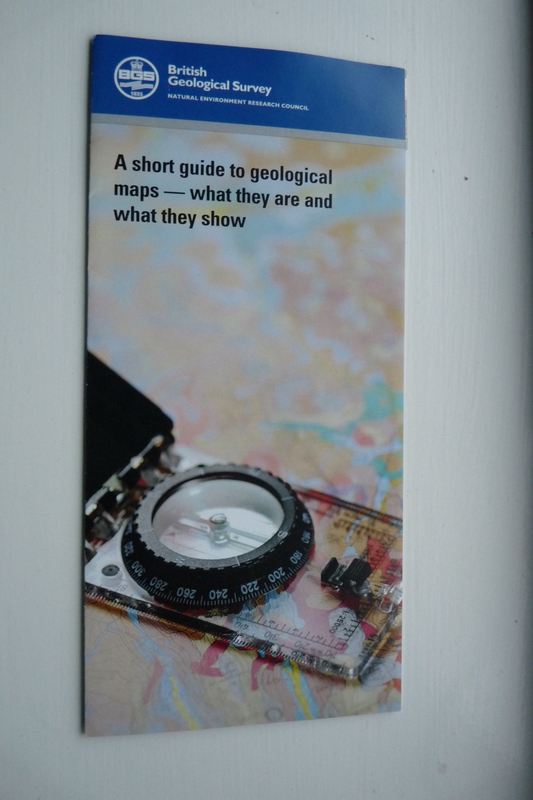 No, in order to know what fossils you expect to find, you need to know about geological maps. This is a geological map of Britain. You may realise that it looks a lot like a normal map, except that instead of roads and countryside it has strange bands of colour swirled across it. These bands of colour represent the geology, but I’ll get to that in a minute. First you need to find out where you are on the map. For argument’s sake I am going to choose Whitby, because I know that is a good place for fossil hunting, but you could start by looking where you live, or somewhere you really want to go looking for fossils (by the way if you don’t have a geology map of your own and can’t find one in your library you can use the digital one on the British Geological Survey website – it’s not as detailed, but you get lots of great extras). 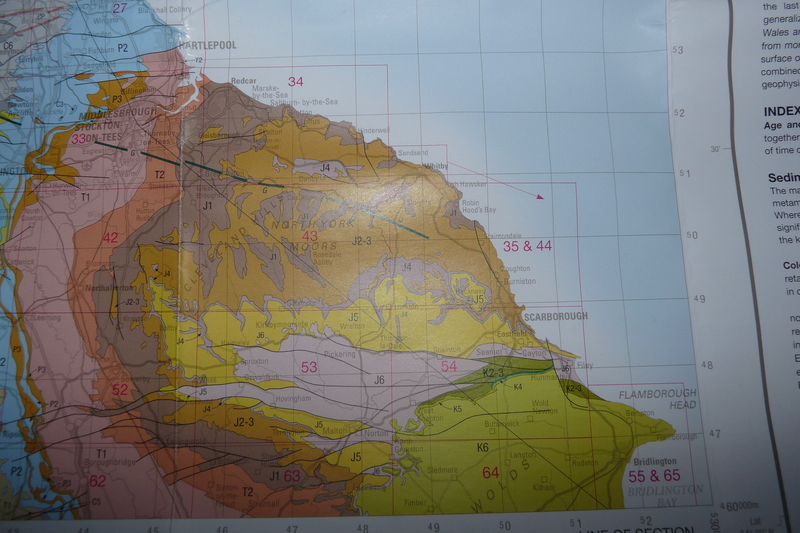 This shows a close up of the geology around Whitby. Which is all well and good, but what does it mean? And how does this help us find our ammonite? Well just to give us context, if we zoom out from Whitby a bit you can see that the nearby area also has greenish bits with ‘K’s on them and pinkish-orange bits with ‘T’s on them. This map has zoomed us out a little bit to show some of the other colours in the area. To find out what this means we need to look at the legend at the side. This is like the key and tells you lots of useful information. Let’s start with what the colours mean. This is the legend for most of the rocks on this map (there is more but I couldn’t fit it easily on one image)! Well the first thing that I always notice when I look at the legend of the map is that the colours are all arranged roughly together (there are oranges, blue-greens, beiges, and purples), and that the letters are grouped together as well. So if we think about the ‘J’ letters we were looking at, you can see that they are in the purple-brown section and are linked to an era called Jurassic. This is the geological age of the rocks in this area – it means that all the rocks with a J on them are Jurassic. This word will probably be familiar to you if you go fossil hunting because here in this country we get a lot of fossils from the Jurassic – including ammonites! So we know we are on the right track. If we look around the Jurassic section, you can see those pinkish-orange colours by the big T are related to the Triassic and the greenish colours above with the K are related to the Cretaceous. Now although you can find fossils in these areas they are a bit far from Whitby, and I think we will find some interesting fossils in the Jurassic age rocks; let’s stick with them. 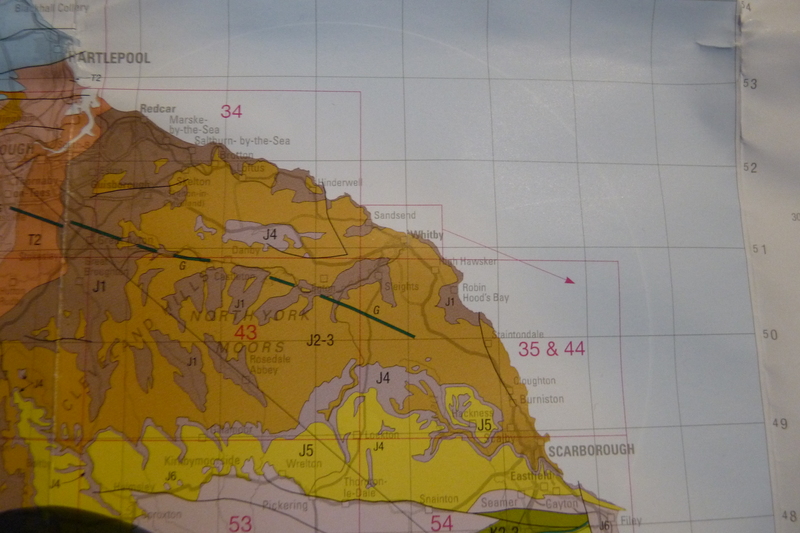 This is close up of the part of the legend that relates to Whitby on the map. Ok well the first part (Early Jurassic) is just telling us the age of the rocks. This means these rocks are the oldest in the Jurassic period – if you look to the left a little you can see that the Jurassic started approximately 200 MILLION YEARS AGO!! The second is our letter that led us here. The third is the geologist’s name for these rocks – the Lias Group – it helps geologists to link different rocks together and match them across different parts of the country. The fourth part is the most helpful. Mudstones and limestones. 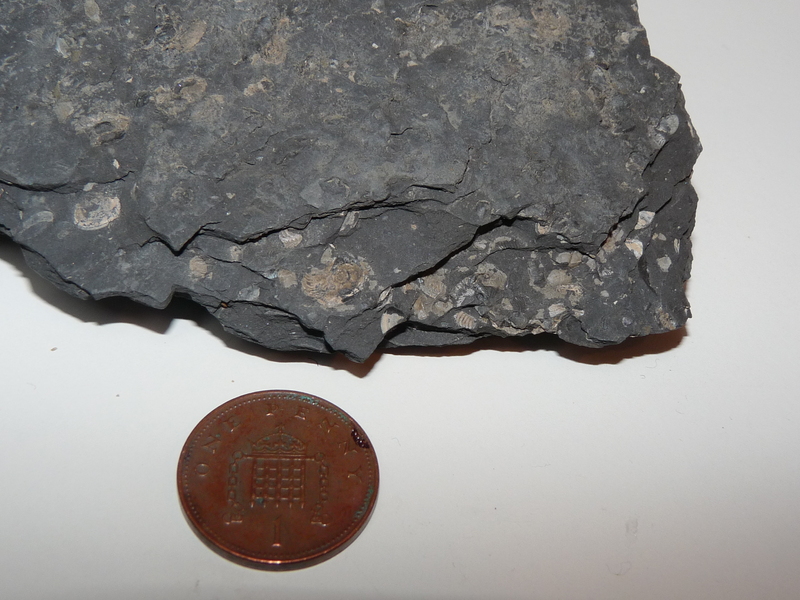 This is a type of mudstone – a shale – with lots of little fossils in it. This tells us the type of rocks we are looking for – mudstones are stones made of mud (obvious huh?) that are brilliant at preserving fossils and limestones are rocks that are pretty much made of fossils. As a quick guide, mudstones are usually grey (especially in this part of the country) and form lots of layers in rocks. They can look a bit like slate but are very easy to break apart. Limestones can be grey, white or cream coloured depending on the fossils, but fossils in them can be pretty small and sometimes are really broken up, so we are going to focus on the mudstones. So we know where we want to look – Whitby – what era the rocks will be – Jurassic, specifically Early Jurassic – how old they will be – about 200 million years old (specifically between 201-175 million years old) – and what type of rocks we are looking for – mudstones. So when we go searching here do we know what kind of fossils to expect to find? AMMONITES! Just like Dactylioceras. This means we probably aren’t going to find a mammoth skull here, the rocks are too old! Same for looking for desert rocks, these rocks are too young for that period of our history. So by looking at a geological map you can know what type of fossils you should expect to find. Geological maps are useful for lots of other things too, but I just want to go back to those bands of colour we saw on the first image. If you are really interested in finding ammonites, but had already looked in Whitby; a geological map can show us where in the country to find rocks of the same age (Jurassic) or type (Lias Group). You see that big purple swathe across the country down to Dorset? Those rocks are all Jurassic. So in theory you could find ammonites anywhere along that line! But remember only some places are safe to collect in, so check before you go running off to your nearest patch of purple-brown! One final thing to point out is that if you live in certain places you aren’t going to find any fossils. These are places that have igneous or metamorphic rocks and you can spot them on your map initially by looking for the big red blobs. These big red blobs mark where volcanoes used to be and are a sure fire way to find some brilliant rocks and minerals – but no fossils. Although you are not going to find any fossils in the red blob areas you will find some fantastic volcanic rocks and some amazing and even sometimes really rare minerals and crystals. 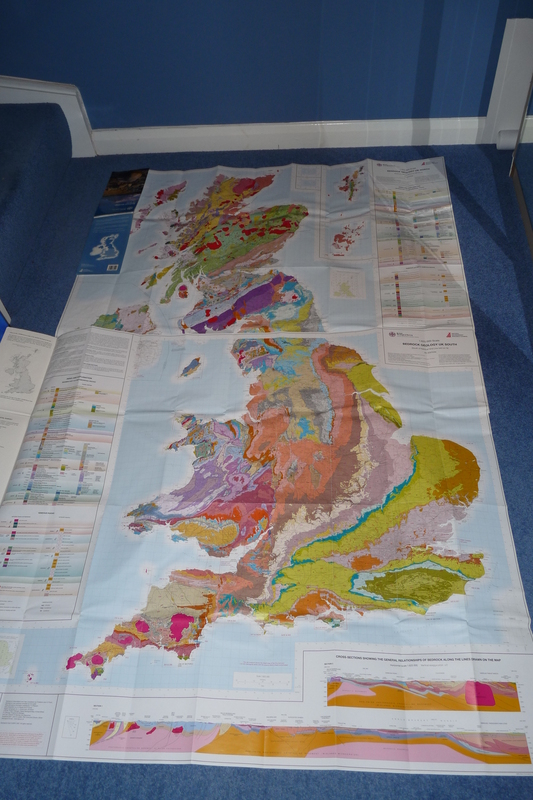 If you want to find out more you can check out the British Geological Survey‘s webpage, they have loads of info on the maps they make and even lots of digital ones you can take with you. Check out this pamphlet they produce as well for more in depth information. 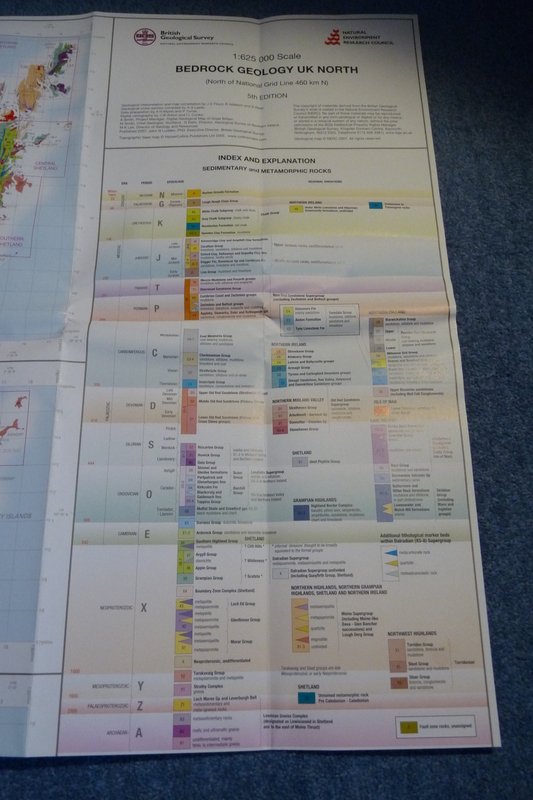 This pamphlet on geological maps is produced by the BGS. So there you have it – maps, a geologist’s best friend – and that is how you find an ammonites armour.